Seattle Times: "Washington Wine’s Next Generation"
We are beyond excited to be recognized by Seattle Times! Thank you to Andy Perdue for his incredible words! We can’t wait for this journey to continue to unfold! Read the full article here. WE BOTTLED OUR 2014 REDS! Our second EVER bottling session is in the books! And we are so excited to introduce two new wines this Fall: The 2014 "Quinn" Red Blend and the 2014 "Steel Dragon" Cabernet Sauvignon. Until then, we have the 2014 "Invader" Tempranillo and 2014 "Ginger Man" Syrah releasing at our event in June. Details about the event to follow shortly! See you there! 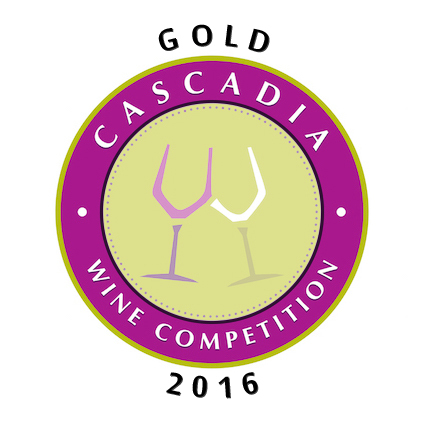 2013 Ginger Man Syrah received a Gold Medal at the 2016 Cascadia Wine Competition. 2013 Invader Tempranillo has also had success this Spring, receiving a Silver Medal at the 2016 SavorNW Wine Awards and a Bronze Medal at the 2016 Cascadia Wine Competition. Bring your sweetheart to Red Wine + Chukar Cherries this Valentine's weekend! Saturday February 13th, Longship will be pouring your favorite wines at the Walter Clore Center! Our wine is now available at the Walter Clore tasting room in Prosser!